Search, display, social, and video ad targeting. Multi-channel campaign creation and execution. Email, direct mail, and newsletter marketing. Websites and online retail services. Predictive analytics and database marketing. Don’t see your OEM? Call 855.653.5463 to talk about customized package options. We built our services to work together. A dedicated team of specialists executes your comprehensive marketing plan across every channel. No two dealerships are alike. Our experts work with you to learn about your dealership, your market, and your goals, to create a completely customized marketing strategy. Naked means you see it all. We tell you why we’re doing it and how it works. Access to detailed reporting shows your return on investment and how every cent was spent. We’re “big data” done right. Everyone promises data. We deliver. 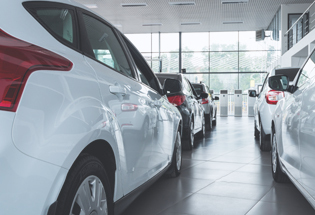 Using transactional, behavioral, and demographic data, we make marketing that speaks to customers and empowers dealers. Your complete marketing intelligence platform. Thank you for your interest in our whitepaper. Please click the link(s) below to download your whitepaper.